Mama mia mama mia… mama mia let me go!!! 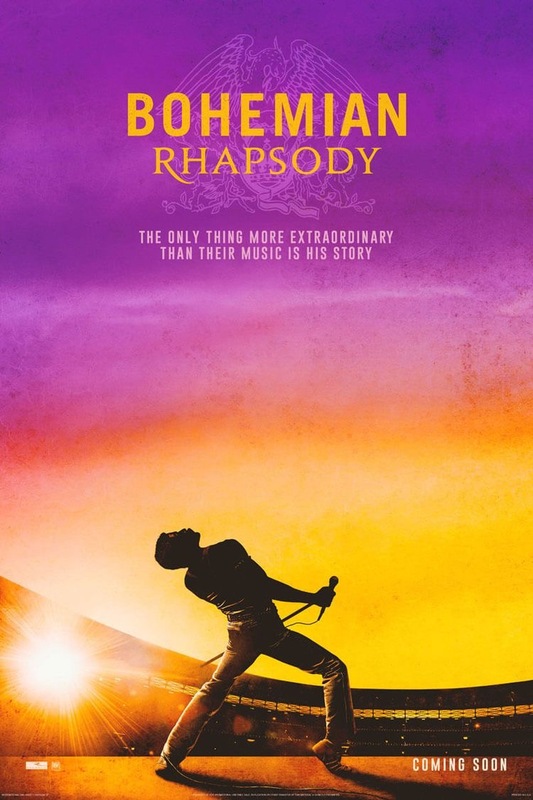 Queen fans sang their hearts out when the movie based on the British band, “Queen”, Bohemian Rhapsody arrived at theaters on November 2, 2018. The movie was named after the band’s most recognizable song, “Bohemian Rhapsody,” written by Freddie Mercury. The movie was enjoyed and watched by many people of every age. The cast consist of actor Rami Malek (Freddie Mercury), Ben Hardy (Roger Taylor), Joseph Mazzello (John Deacon) and Gwilym Lee (Brian May). Now the casting, I will say, was spot on, and it gave the audience a taste of what exactly the band members looked and sounded like. The movie is credited to X-Men director, Bryan Singer, who was later fired during filming and replaced by Dexter Fletcher. The film was still a hit making $50 million on its opening weekend. The movie itself was like stepping into a time machine and enjoying each memorable show, as if you were truly there. The movie gave used many honorable moments of the band, especially the Live Aid concert. It also delivered many clichés of the rise and falls of a true rockstar motion production, clichés such as career highlights, downfalls, and many montages, which I myself can’t stop singing along to. The film openly showed Mercury’s gay relationships as well. A scene from the movie of the band making their album. As much of a hit as the movie made, the timeline was a little off. In the film, it shows Mercury’s desire of wanting to go solo which later on breaks up the band. In reality, however, it was drummer Roger Taylor who went on to make two solo albums first. Also, in the film it shows Mercury realizing he has HIV/AIDS before the great performance for the Live Aid concert. Although, in reality, he didn’t receive the news about his diagnosis until two years after the performance. But this is super understandable and occurs in many movies as it brings more drama and excitement to a film. 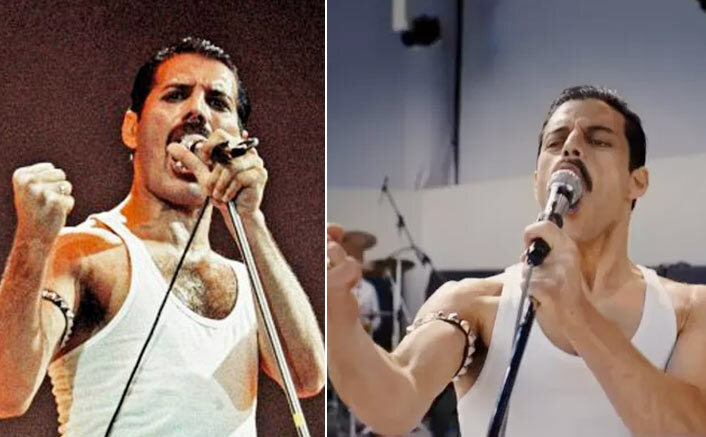 A comparison of the real Freddie Mercury and Rami Malek. Stomp your feet and clap your hands when “We are the Champions” comes on. Don’t be shy to sing along to the movie as if it was karaoke night and remember to wear your old Queen t-shirt. I can honestly say this is one of my new favorite movies because it brought so much to the table. A movie you can sing along with, relate to, and cry to. Bohemian Rhapsody is in theaters now. Go enjoy this filmmaking masterpiece.